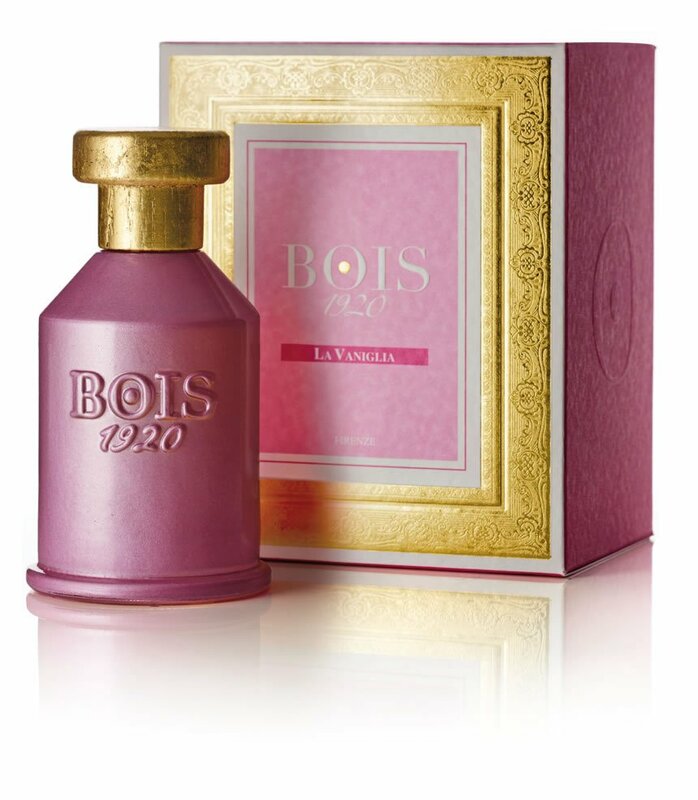 La Vaniglia is a perfume by Bois 1920 for women and was released in 2010. The scent is smoky-gourmand. The longevity is above-average. It is still in production. This fragrance is a trip! I received a generous sample last year and I immediately thought. Yahtzee! This is the perfect boozy dark smoky vanilla that I have search for everywhere. After about the first hour this settles into a very complex and unique piece of art work that I can only describe in abstract and simplistic associations A natural and realistic cherry pipe tobacco on top, followed by a brief weird and not totally unpleasant Band-Aid phase which I smell more in my full bottle than in my sample, to be honest...it passes. The base of this is a dry unsweetened dark vanilla pod bourbon that is soulful and totally addictive. The ginger almost gives it a cola-like twist, but the cherry tobacco persist making it less sweet and foody and more smoke-able. This reminds me of a elegant and natural and refined version of Tokyo Milk's "Poe's Tobacco" mixed with a light fluffy vanilla like Laurence Dumont's "Vanille Bourbon". Superbly blended, La Vaniglia has a boozy, spiciness coupled with a well-used, washed out cognac oak-barrel note and a depth that prevents me from reaching for it carelessly any old Je-ne-sais-quoi-day. I'm just gushing now, but...I love it and can't wait to wear it nightly, this Winter, because it really blooms late at night. A surprising start: the smell of your mum's kitchen when she was preparing your favourite lemon cheesecake...yummy! After one minute the cake is eaten, but you can still have the perfume: a mixture of fine vanilla with deep incense. Stays on your skin for about 2hs (not really long, given the high price!). The question you should ask yourself: Do I want to smell like a baker who escaped from his/her shop and went straight into church?